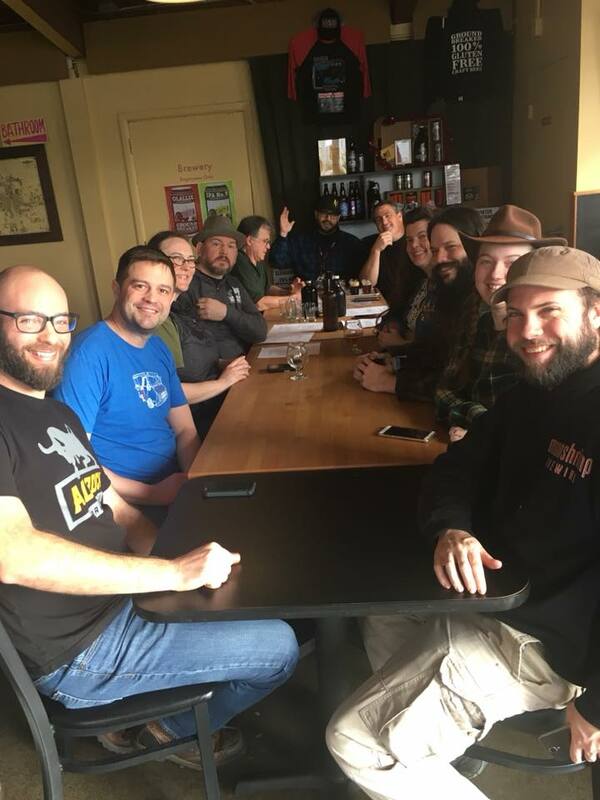 Zero Tolerance Homebrew Club kicked off what is believed to the first-of-its-kind gluten-free homebrew club on Sunday, January 28th in Portland, OR. The meeting was held at Ground Breaker Brewing, who has graciously agreed to host the club on an ongoing basis. Meetings will be held on the last Sunday of every month from 2pm-3pm. The inaugural meeting drew a dozen or more interested parties, some of whom brought gluten-free homebrew to share. Ground Breaker’s delicious food and flights of their award-winning beers were purchased and shared by members as well. During the meeting, club discussed the definition of gluten-free beer that will be employed by the club at meetings: That is “Beer made with only gluten-free ingredients.” This means traditional barley/wheat/rye beers made using Clarity Ferm or Brewer’s Clarex are out of scope for the club. 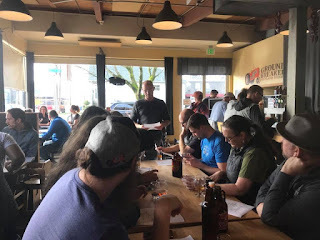 Also covered was Ground Breaker’s upcoming PNW GF Homebrew Competition to be held April 21, 2018 at Ground Breaker Brewing. The competition is open to all amateur gluten-free homebrewers. Please see the linked registration form for info. Finally, James Neumeister and Jesse Bufton of Ground Breaker Brewing surprised the newly-formed group with a tour of the brewing facility that covered everything from raw ingredient discussion through packaging with a lot of brewing process knowledge shared throughout. holding court as the club tours the brewery. A recent social media post on the club Facebook account conveys the vision: "Many brewers look at a disease like Celiac or Non-Celiac Gluten Intolerance as a career-ender. We are looking to help people continue their pursuit of brewing great beer, in a gluten-free way. Join us if you have ever thought of brewing gluten free beer. No experience required!" Next month’s meeting will be held Sunday, February 25th, 2p-3p. They will meet again at Ground Breaker, this time among the bubbling fermenters, inside the brewery itself. Topics to be determined. 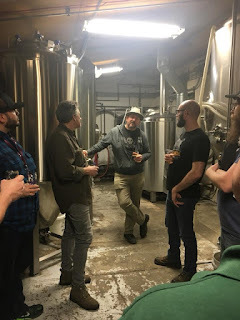 Zero Tolerance maintains a Facebook page for club info and to encourages lively Gluten-Free beer and brewing discussion at http://www.facebook.com/groups/ZeroToleranceGF/.